Russell has over 16 years' experience in the golf industry and apart from his work experience, Russell also has Business Management qualifications from The Open University and the Club Managers Association. He is a member of the Club Managers Association of Europe and the UK Golf Club Managers Association. Russell was the Burhill Golf & Leisure General Manager of the Year in 2011. In his 4 years at Farleigh he has turned the loss making club that Foxhills Group acquired in 2012, into a profitable club by 2016. During that time they have received the TripAdvisor Certificate of Excellence in 2014, 2015 and 2016 for their X1X Restaurant. 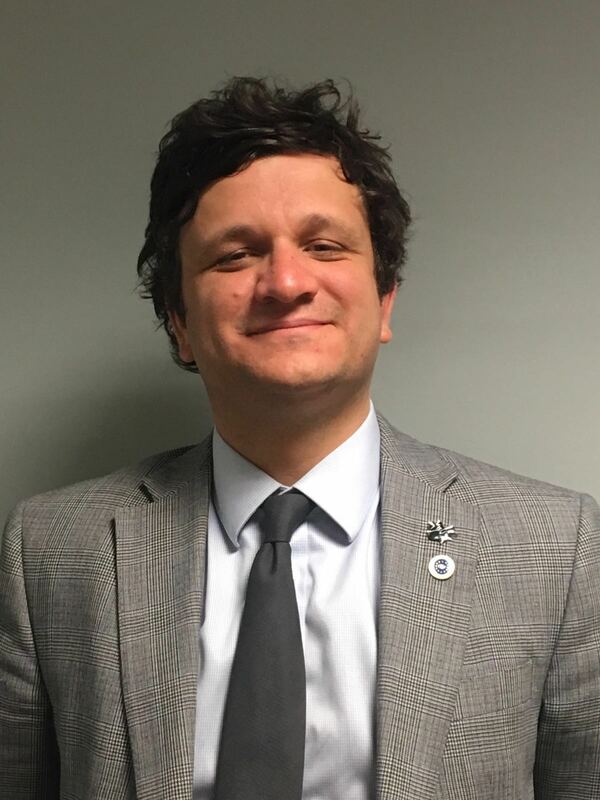 Russell’s customer service achievements and record are evident from his CV and references and we believe that he will make a great contribution to the life of Frilford Heath Golf Club. In addition Russell will be involved with the recruitment of the new Golf Manager and together they will add strength, experience and youth to the existing team. I am sure you will join the Board in giving a very warm welcome to Russell when he joins us in the New Year. Russell Stebbings’ passion for golf started in 2000 when he got his first job in golf at Pyrford Golf Club working for the American Golf Cooperation after various roles within the company Russell moved to the BGL where he managed two clubs and won BGL Employee of the Year ay Wycombe Heights in 2012 in his first role as a GM. Russell then was appointed General Manager of Farleigh Golf Club (part of The Foxhills Collection) in late 2012, leading the business to its first ever annual profit in 2015/16 and is currently working towards his CCM exam in March 2017. I had spent time away from the Club in December 2015 (at the MDP Golf in St Andrews) and February 2016 (at the World Conference in San Diego) and was receiving a bit of banter about my recent absences from some of Farleigh’s members when I had my ‘light bulb’ moment. In 2015/16, Farleigh had achieved its first ever profitable year, and communication and engagement with our members had been central to that, but there was surely more we could do? Recalling a conversation about member engagement with Kevin Fish during the MDP Golf and the lessons I’ve learnt to date from the CMAE, I revisited our business plan for the year ahead. 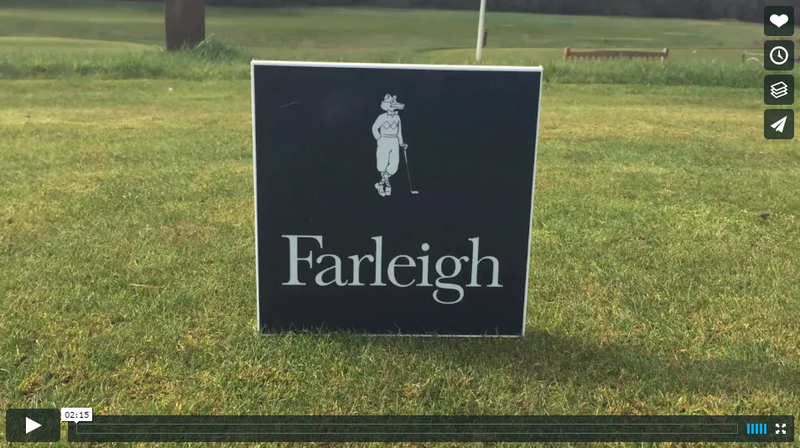 Whilst Farleigh remains committed to growing our own golfers and putting a club in every hand, that strategy sits alongside our key membership strategy – retaining by entertaining! As a proprietary run club, we are open to all and it can sometimes be a challenge to make the members feel as valued as we would like. However this year, we are doing something “major” about it. On Sunday 10 April – the same day Danny Willett was preparing for his final round in Augusta – we hosted the first ever Members’ Major at the Club. The Farleigh Masters was designed to not only provide a healthy competition for our members (it was run in conjunction with our annual Men’s Greensomes event), but provide a fun and relaxed environment to start the season. Welcomed on the first tee by an American compere detailing their golfing successes and anecdotes, 68 of our members teed off with the pressure of major-style hoarding and a small crowd of onlookers. At the end of 18 holes in sunny yet breezy conditions, competitors were welcomed in the Clubhouse with a complimentary Southern USA inspired buffet menu, with a green jacket awaiting the victorious pair, as well as an award for Best Dressed Golfer (theme: yellow and green). The event itself was a great success with positive feedback from participants, other members and visitors who were on-site during the day. However the engagement doesn’t stop there. As well as news stories on our website announcing the winners, and a picture gallery on our Facebook page, a video of the day was posted and emailed to existing Members but also our loyalty card participants and casual golf database, showcasing the benefits full Membership can bring. With three more Majors planned for the year, as well as celebrating the first year of our Farleigh Friends loyalty scheme (which is on track to sign up its 2,000th member in just 10 months), a reminder that golf is part of the Sports & Leisure sector has never been more pertinent. Providing great courses are vital in this industry, but providing a welcoming and entertaining atmosphere both on and off the course is just as important in retaining members and attracting more.